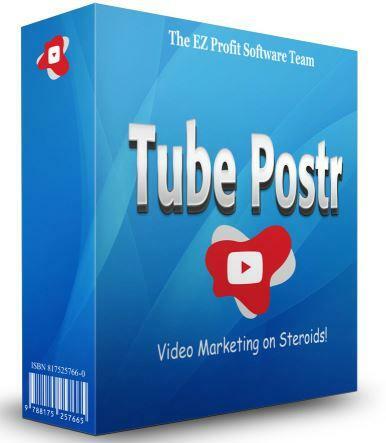 A new YouTube video marketing tool has been launched by Lee Cole, called Tube POSTR. It works with any channel and passively builds views and subscribers for online businesses. Lee Cole has launched a new video marketing tool for online businesses called Tube POSTR, which allows visitors to subscribe to YouTube content without leaving the company website. This streamlines the lead generation and audience engagement process, and helps to increase brand awareness on autopilot. Lee Cole is known for his high quality software and programs that are designed to help businesses and entrepreneurs succeed online. Now he’s bringing Tube POSTR to the market, giving site owners a powerful marketing tool to add to their arsenal. Tube POSTR allows anyone to build their YouTube subscribers and video views automatically. It is designed to be a “set and forget” system and WordPress plugin that is easy to install and can be applied to any WordPress site. This gives site owners a great new way to bring in YouTube viewers and keep them on their business website instead of clicking away. It also increases YouTube subscribers and views without the site owner having to do anything at all. The process is simple: viewers watch videos on the business website and subscribe to their channel without having to leave the website. This means they are more likely to stick around and purchase products or services, rather than click away and never return. Tube POSTR is designed to be easy to use, which means that even non techie users and those without video marketing experience can benefit from the new tool. In addition to this, it is a set and forget software that works in the background on autopilot. The software connects to any YouTube channel and passively builds channel views and subscribers, allowing viewers to watch content right there in the sidebar.